The original Creature from the Black Lagoon is one of the silver screen's most unforgettable characters and, along with the other Universal Classic Monsters, defined the Hollywood horror genre. 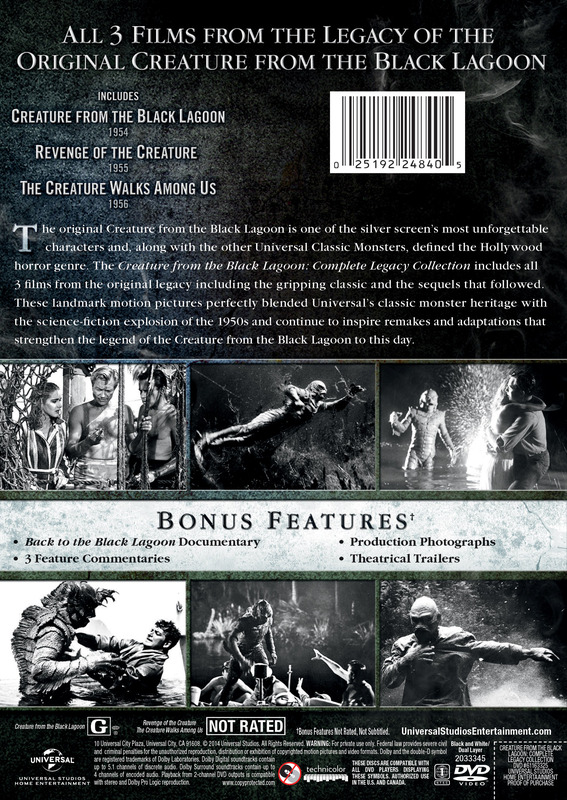 The Creature from the Black Lagoon: Complete Legacy Collection includes all 3 films from the original legacy including the gripping classic and the sequels that followed. 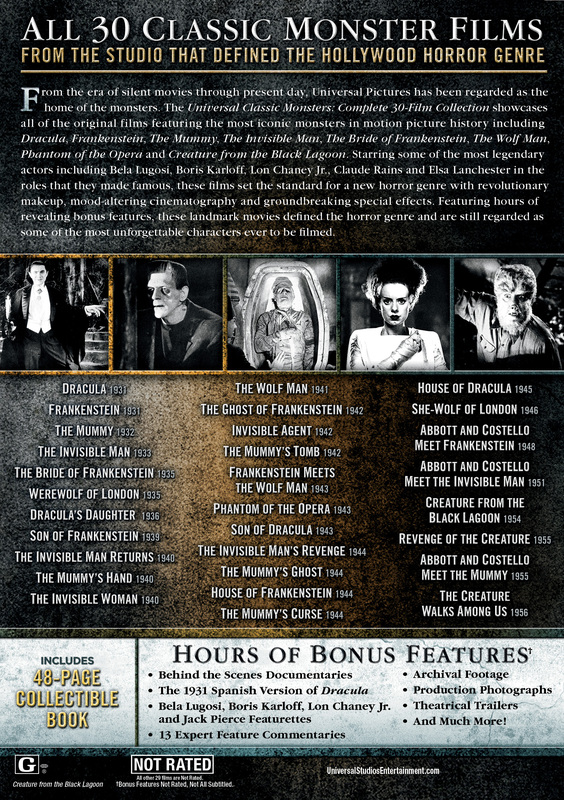 These landmark motion pictures perfectly blended Universal's classic monster heritage with the science-fiction explosion of the 1950s and continue to inspire remakes and adaptations that strengthen the legend of the Creature from the Black Lagoon to this day.